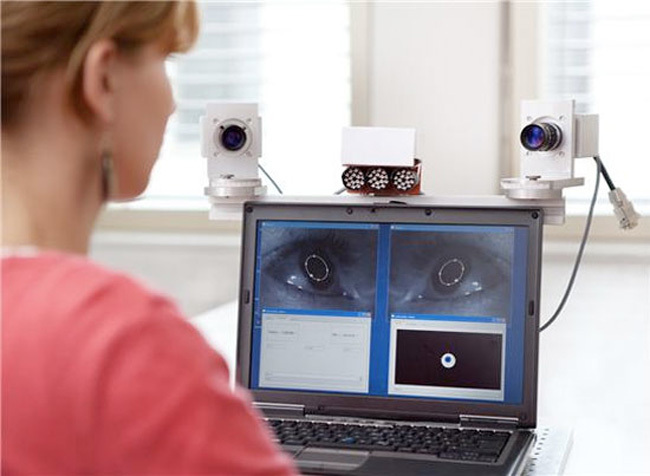 A new system being developed by researchers at the Fraunhofer Institute for Digital Media Technology IDMT in Ilmenau Germany, called Eyetracker. Thats is able to watch a drivers eyes and recognise the signs of a driver about to fall alseep while driving. The Eyetracker uses cameras to track the spatial positioning of your pupils and line of vision, when its detects a snooze coming on a warning is issued to alert the driver. More cameras can be added allowing the system to use four or even six cameras to track your eyes, evaluating continually up to 200 images per second to identify your line of vision and state. The Eyetracker echanic are no larger than a box of matches and can easily be installed in any model of car. There is also no need for any calibration of the cameras. “With conventional systems, every person whose line of vision is to be monitored has to complete more or less time-consuming preparations. Because every head, every face, every pair of eyes is different,” notes Prof. Husar of the IDMT. The new Eyetracking technology reaches far past just being used for driving and is hoped the system can assist with eye operations by registering a patient’s every eye movement. Together with advancing the gaming industry by allowing players to look around themselves, without requiring a joystick to change their viewing direction with the game.